Your customer base is changing quickly. Baby boomers are retiring, and younger buyers prefer to do their own research before engaging your sales team. 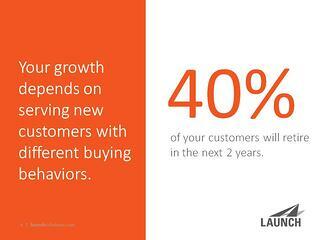 Businesses must learn to adapt, using inbound marketing and engaging content. Complete the form below to download the slides.